Another institution that has been in San Diego for years, but I never made it to since I don’t have the right group of people to go with. However, when a group of friends whom I met during my previous job at the client wanted to go get lunch. The opportunity came up and I suggested Dede’s Teajuice City! The restaurant is small, but still a decent size yet it is in one of the many super small strip mall all over Kearny Mesa. At this point, I think I’m just used to it that I don’t even complain about it anymore. Anyway, I was there specifically for some delicious food and I was not going to be denied of it! Dede’s Special Cooked Baby Ribs were good, but I wish there was more meat! I’m not one to eat off the bone and when I do, I expect there to be meat! Lots and lots of meat! 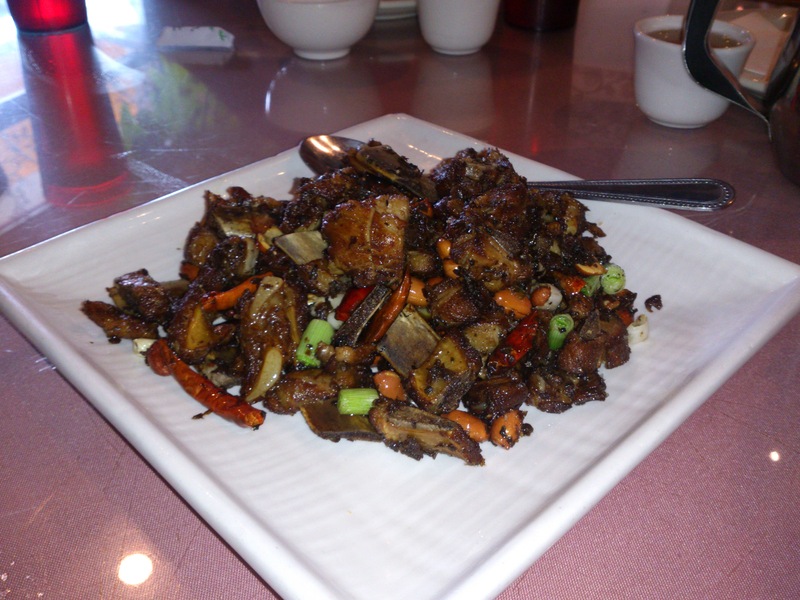 The Spicy Sichuan Eggplant a dish that I’m just so familiar with and it does makes me think of home. 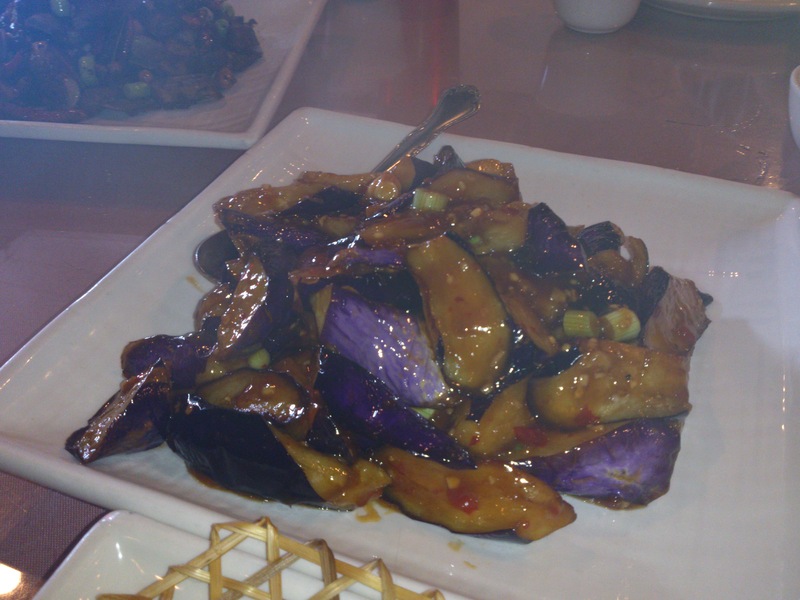 I can’t ever reject eggplant, mmmm….purple….spicy purple! The dish that I really wanted to have that day was the Boiled Fish Hot Pot. Basically fried fish fillets with tons of peppers and potatoes. I have an obsession for spicy foods and there is no end to it and this little pot is like gold for me. 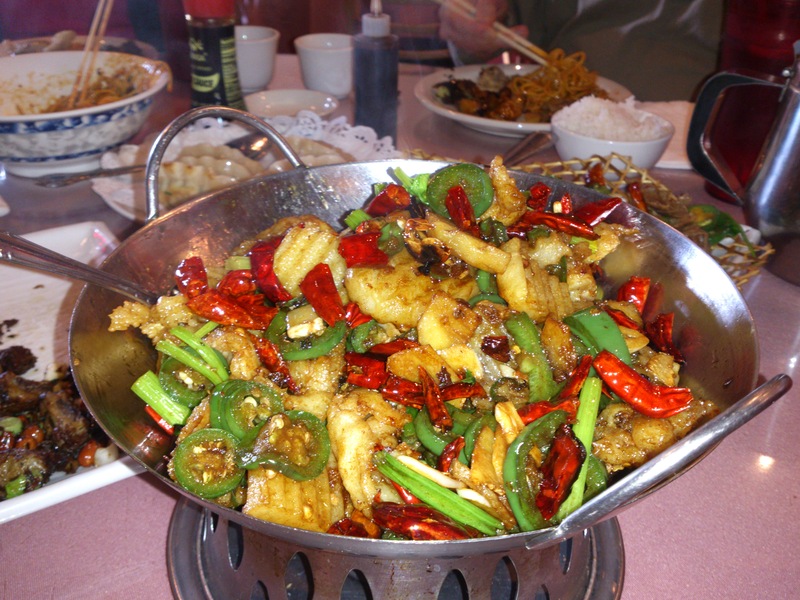 Spicy, but still flavorful and the fish with its crispy outer layer and moist, tender flesh interior….mmm, perfection! Dan Dan Noodles, which were enjoyed by the whole table. It’s spicy here too and I have no complaints about that! Dan Dan Noodles was one of those dishes that I learned to fall in love with as I grew older, whereas it was a favorite of my Dad’s. We also had an order of pan fried dumplings (it was pork filled) and scallion pancakes because hey! Why the freak not?! We were all grown adults with adult appetites! LET US FEAST! 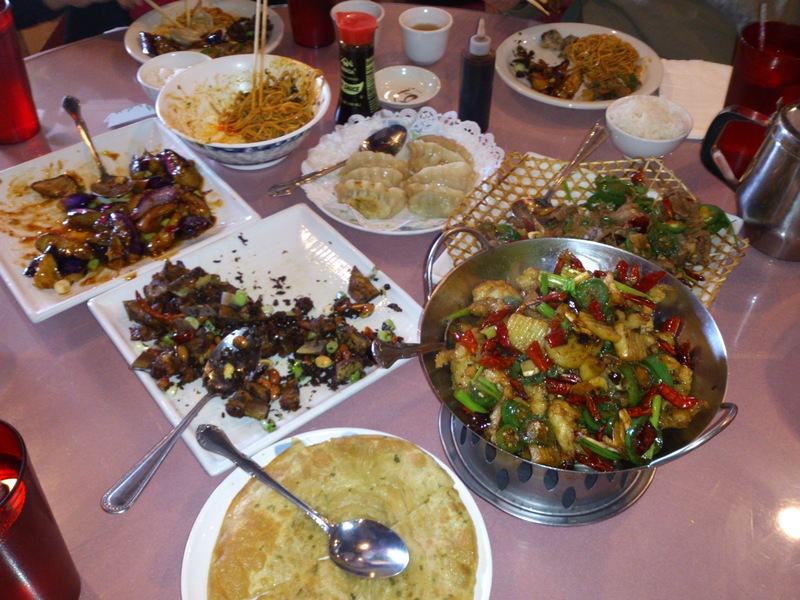 I am quite proud of our ability to consume and I think we could do better next time by ordering more food. I love Dede’s since it’s the food that I’m most familiar with and feel at home with. Definitely returning to Dede’s for more meals! Yesterday I had to explain why I chose not to eat what I don’t eat – beef and more recently, lamb. Which to both, I do think they are just ADORABLE. However, at least in the US, it is rare if ever you find a “suckling baby pig” or “roast chick with fresh vegetables” on your menu. One – there’s not much to eat in terms of meat on either. However, on the other hand, sheep and cows do have enough meat and demand for throughout the majority of their lifespan. Case in point: Veal = a calf (aka a baby cattle) and of course lamb is what you call a young sheep. You eat veal or beef, you eat lamb (baby), hogget (young, or mutton. My coworker then threw out a classic, “Would you eat bambi? ?” My witty response was, “Hmmm…yes, I have no problem right now eating bambi.” Though logical thought for me (prior to any additional research) is: does the FDA allow for the sale of baby deer meat? Do they even SELL baby deer meat?? So yes, I may be selective on what I chose not to eat and what to eat. Can you say you don’t?? Do you not choose to eat one thing over another based on personal preferences and likes? My decision and choice to not eat beef as previously stated, I haven’t had it in so long and I do think baby cows and even grown cows are adorable. Smelly sometimes? Yes, but I still think they’re great! Now with the addition of lamb to that list of animal proteins I won’t eat, is one of the harder ones. I do love a good lamb shank or lamb kabob, however I find myself completely guilt ridden after eating one. There are days when I wonder to myself, “Could I truly commit to being a 100% Pescatarian?” The reason why I think I would be a Pescatarian versus Vegetarian is because the only reason why I would be giving up animal (land and sea) proteins is because I can’t but feel guilty eating a cute animal. However, I have yet to find a sea creature which can make me “awwww” like a land animal can. Hence, I have absolutely no gripe about eating sea creatures. Whereas land animals are a little harder. I see a picture of a lamb (aka baby sheep), sheep, calf, cows, baby chicks, etc. I immediately melt into a puddle from their cuteness. There is something about the way animals look at you and you feel for it. I know this does not apply to all, but it does for me. My closer friends, coworkers and family knows I do not eat beef. I haven’t had beef in so long, the taste of it is lost on me. I can appreciate a nicely cooked piece of steak, or an enormously tasty looking burger, but there is no desire to it. The reason for my non-beef eating is a personal preference and I would like to stick to it. Another animal I have recently made the choice in not eating is lamb. 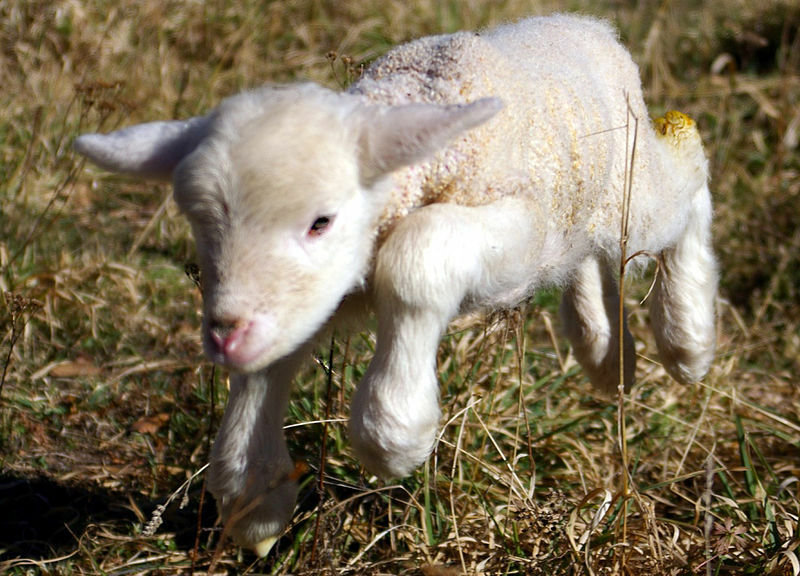 Baby sheep is one of the most adorable creatures and my favorite too. 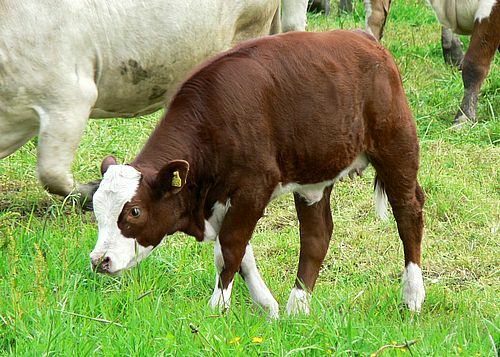 How could I say I won’t touch beef (calfs are so cute too!! ), yet I’ll eat lamb?! I do love the taste of lamb so this is really hard for me. Slowly…I’ll ween myself off their delicious meat. While traveling for work the last two weeks in Park Ridge, New Jersey, wasn’t exactly the most thrilling and exciting trip ever, it wasn’t the worst. 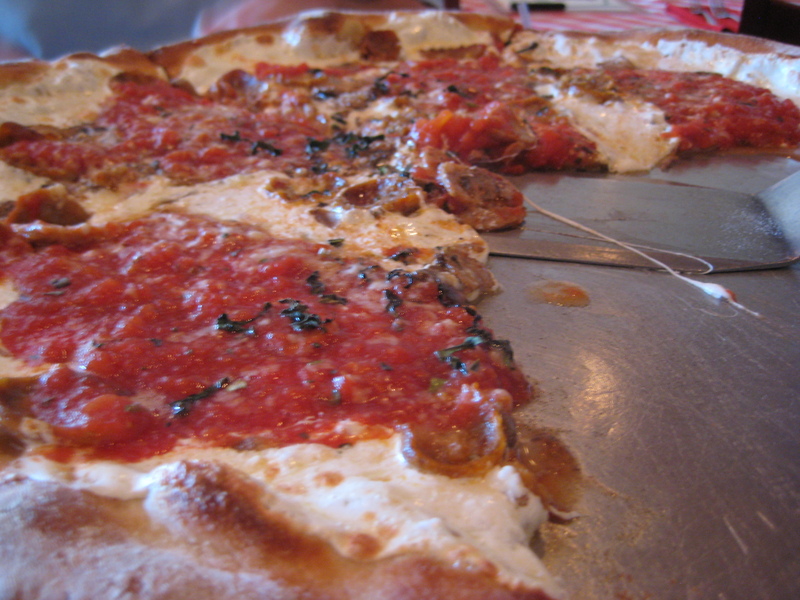 There were some real gems in the surrounding area (especially Ridgewood) and here were my best of Northern New Jersey! 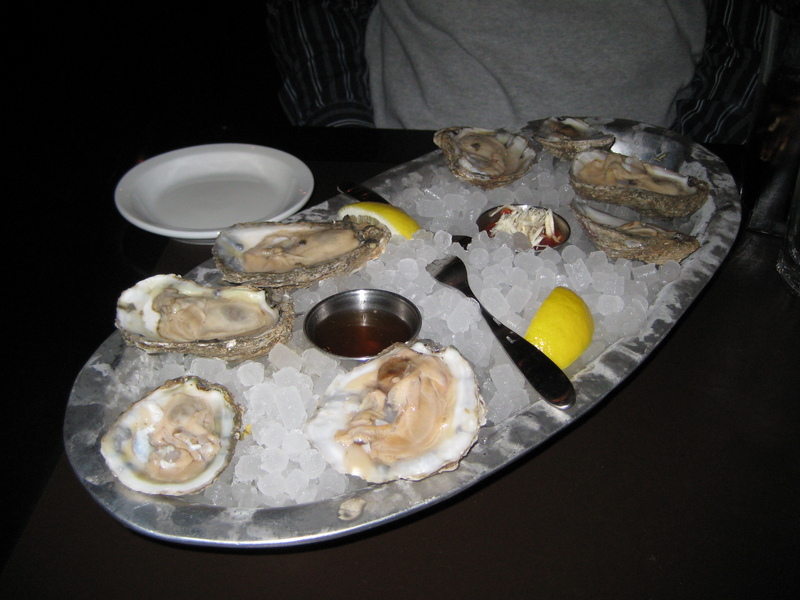 Fire & Oak – come Monday night and you can get $1 oysters and I’m talking about BIG, good oysters. 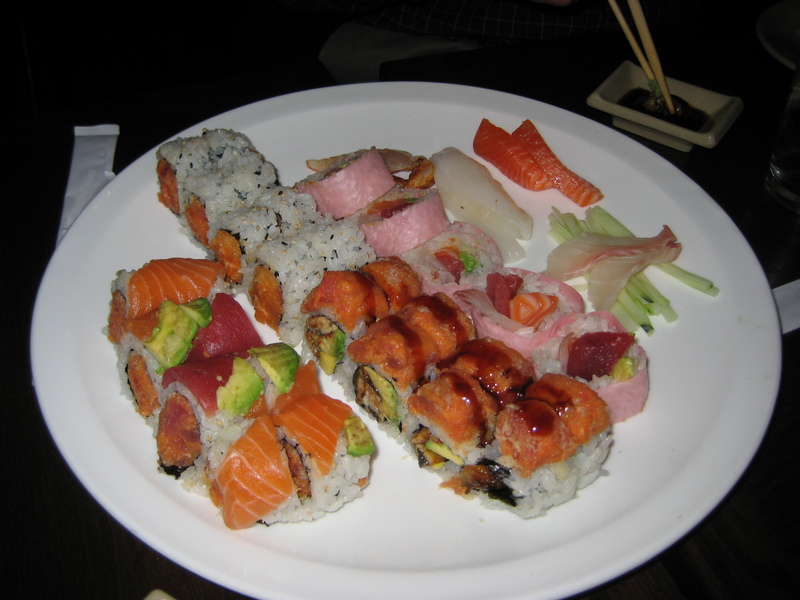 However, skip the sushi and the seafood entrees. The sushi was terrible and the entrees were so bland that my coworker were passing the salt between us throughout the meal. 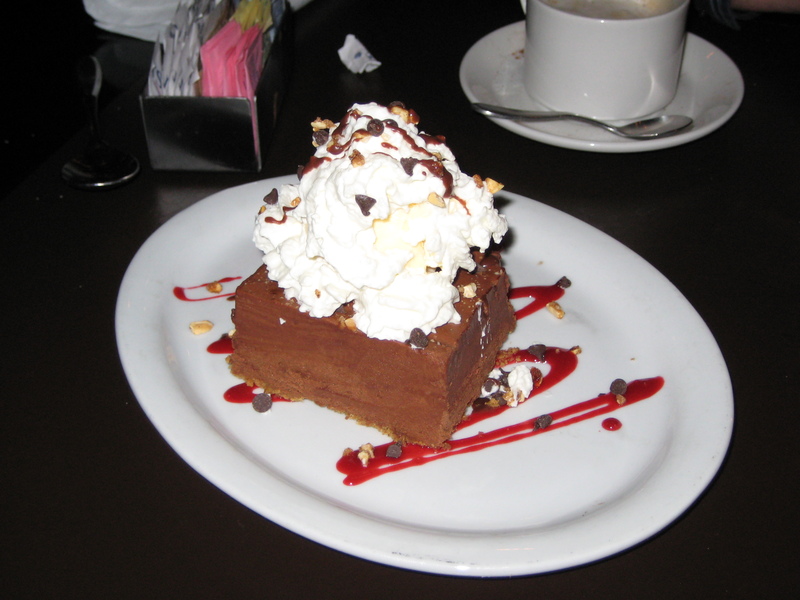 So after you down as many oysters as you can, order yourself a slab of their chocolate peanut butter pie. It comes ala mode (but you can’t see it due to the mountain of whipped cream) and it is ridiculous how rich this dessert was. I had to pull myself away because it was just that good, yet I knew I shouldn’t polish it off on my own. 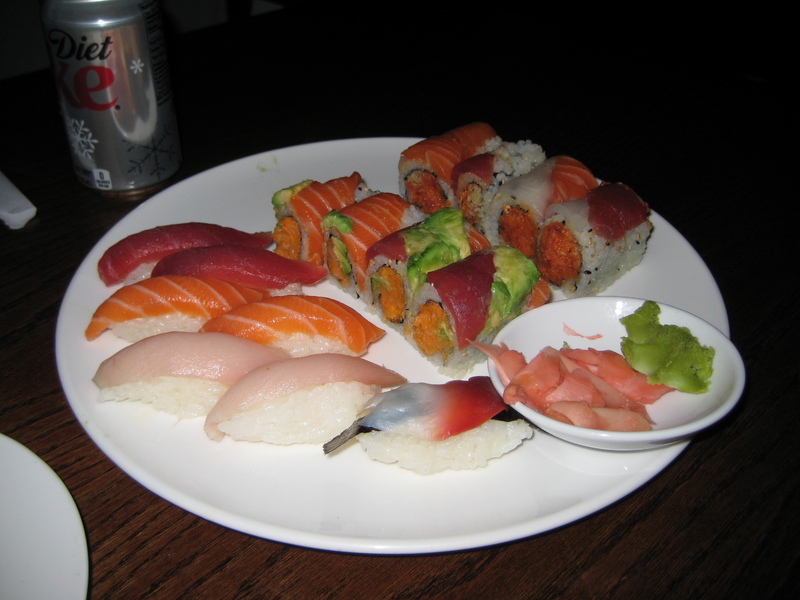 All you can eat sushi dinner for $19.99! It is a freaking deal no matter how you swing it. 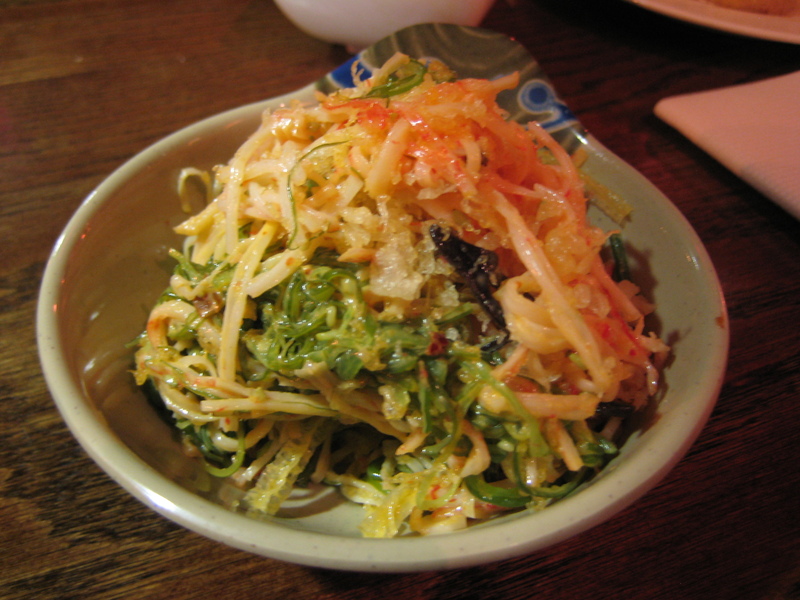 The “Spicy Seaweed Salad” – this concoction is pure genius! Take the usual seaweed salad, but add spicy krab and mix it in with some tempura crunchies…it becomes a mouth of happiness. So simple, yet so addicting and delicious. Organic Tofu House – when I think of middle of nowhere cities in the woods…I don’t automatically think amazing Korean tofu stew. Who would?? 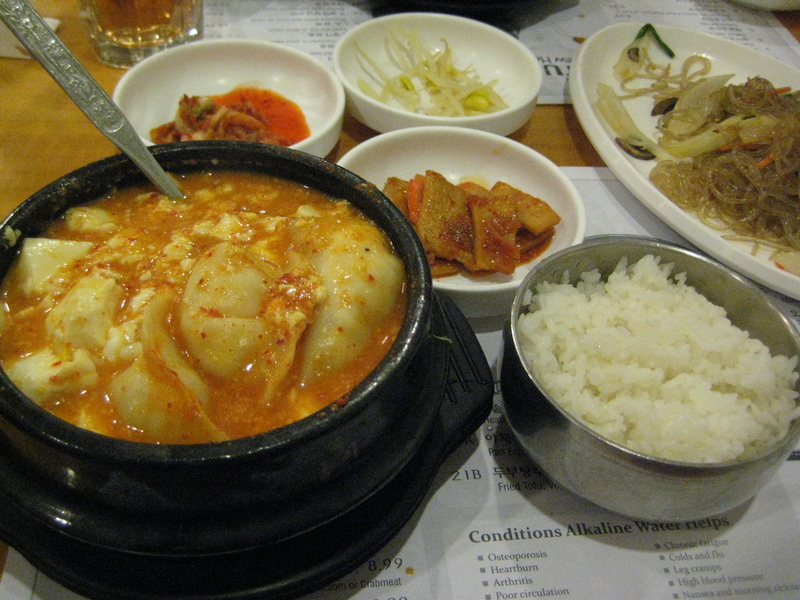 However, this Korean tofu house was a real diamond in the rough. It’s in a strip mall and on the other side of the main street through Ridgewood. Complete unassuming and yet, for those who venture in, they are met with a quaint little restaurant that whips out a pot of bubbling, scathing hot, organic tofu stew! 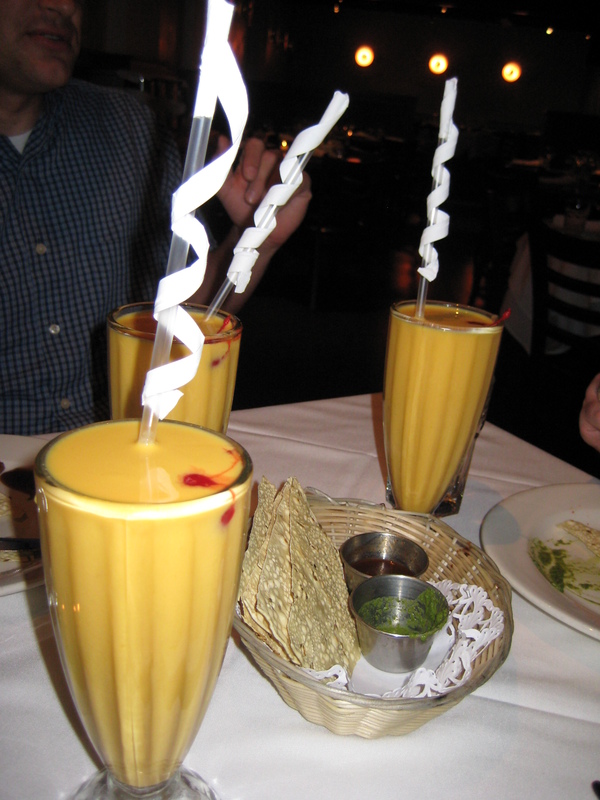 Man oh man…my coworker and I dove into our bubbly pots with little care for our tongues because we wanted the stew!! 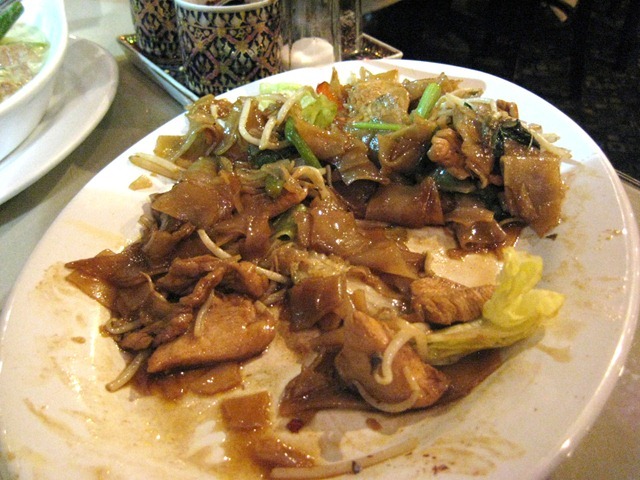 Antique Thai Cuisine – Proving Strip Mall Gems Do Exist! These last couple of years have been packed with traveling either for work or for leisure, domestically and overseas. It was during these trips that I have come to realize that I have truly become a spoiled San Diegan. What I mean is that I really do consider the weather to be “cold” at around 65-70 degrees. Now, when I look back at the weather we’ve been having just this past winter, most of the rest of the US of A would say that 65 degrees was their warm weather. I have lived in the East coast long enough to remember what it feels like to have 4 full season occurring when they should. Where there were true extremes in weather during the summer and winter (which I was reminded of when I made a trip to Maryland in late Fall last year – caught the tail end of a hurricane. Forgot it is possible for rain to pour on you 48+ hours straight). Oh how I love curry! My favorite is the Green Curry with (preferably) mock duck. To those not familiar with mock duck, it is a gluten-based vegetarian meat alternative that’s high in protein due to the wheat gluten. 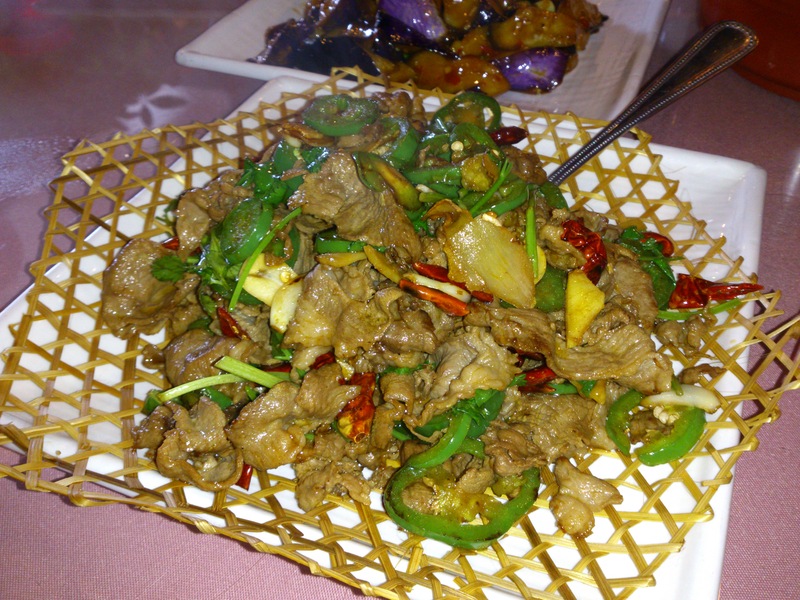 I grew up on mock duck and just plainly lots and LOTS of wheat gluten items in my Chinese dishes. So this is right at home for me. Back to curry! 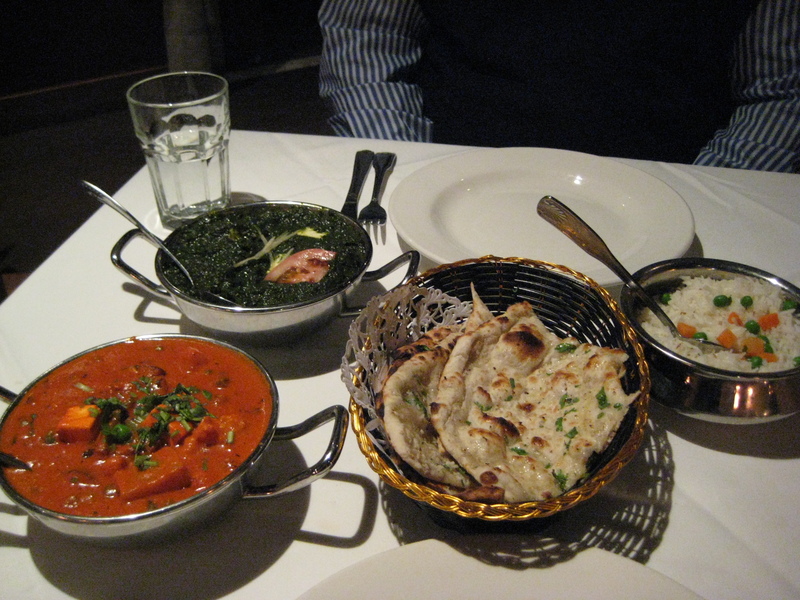 I like my curries to be SPICY, as I am a gluten for spicy foods. On a scale of 1 to 10 on spiciness, I can handle a 10, but I generally like to keep it between 6-8 (depending on the restaurant). I think my love of spicy foods is because the spices open up all my taste buds, so the flavors of the dish are intensified. And what better dish to have millions of your little taste buds up and at’ ‘em? Curry!! I was curious to what generally goes into green curry that is made from scratch and I found that it typically has around 15 ingredients to just make the sauce! This is why you must have every single, last taste bud ready to receive them all! 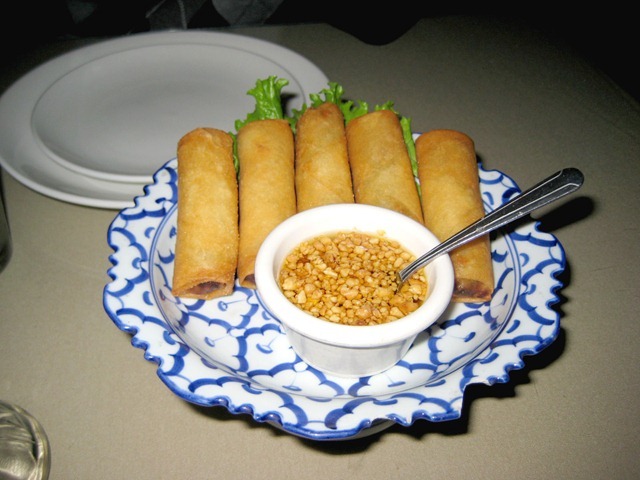 The curry that I am now thinking of as I write this post is from Antique Thai Cuisine in Loma Portal, right off Rosecrans St. It sits discreetly in a strip mall with Henry’s Marketplace and TJ Maxx. I would have never found it had I not been researching for dinner spots near the Sports Arena. 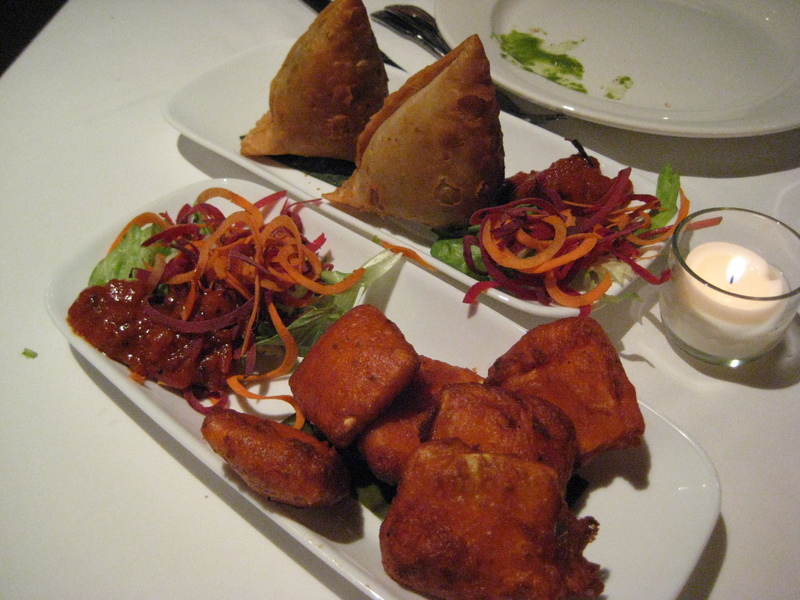 The restaurant was nice and clean, the service has been good (little slow but very friendly staff), and the food is superb and very affordable. These were ok, the skin was too think to my liking. The filling was just lettuce, carrots, vermicelli, and a minuscule amount of pork. It felt store bought to me so nothing to write home about. Ordered it once and it will be more than enough. Our entrees on the other hand saved the dinner! The entrees were about $8-10 and the appetizer was only $4.99. So for less than $25, two people walked out of the restaurant full and completely satisfied, ready to rock on at the Sports Arena! I also looked at their lunch specials and they are ridiculously low priced! Only wish I could make it out here for lunch. All in all…I find that even if the rest of my body’s frozen to the touch, if my belly’s filled with delicious, spicy curry, I will be sufficiently kept warm…even if it’s all in my head.